It's raining, it's pouring, and you have to go to work. Boo! Waking up and seeing how nasty the weather is outside is terrible. Especially when you have to go out in it. 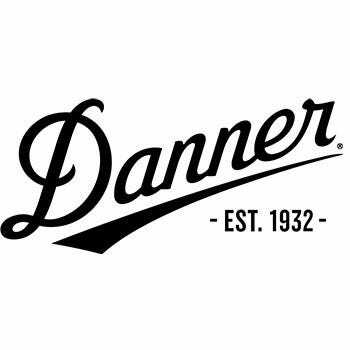 However, if you wear these Danner Men's 13860 EH Brown Waterproof Composite Toe Vicious Boots y ... (see full details) (see specifications) #DNN13860. It's raining, it's pouring, and you have to go to work. Boo! Waking up and seeing how nasty the weather is outside is terrible. Especially when you have to go out in it. However, if you wear these Danner Men's 13860 EH Brown Waterproof Composite Toe Vicious Boots you might still have to go to work, but your feet will stay dry and safe the entire day long. This premium footwear is constructed to be 100% waterproof. In addition it is equipped with a Gore-Tex lining that promises to keep your feet dry and comfortable, regardless of what kind of weather you're facing.These men's boots even have slip-resistant outsoles, so whether you are walking around in wet weather or around spills, you'll stay on your feet. Nylon shanks also provide you with the extra reinforcement and support you need. Manufactured from full-grain leather, this footwear is constructed to last through the roughest of days. They are also ASTM standard F2413-11 I/75 C/75 electrical hazard rated, meaning that these boots are designed to be non-conductive electrical shock-resistant. They also have a safety toe protection that's non-metallic, so you can walk through a metal detector with ease. These shoes are also abrasion-resistant so they can withstand the test of time. In addition these brown boots have been designed after Danner's Trailguard hiking footwear, meaning that they're exceptionally lightweight, while still keeping your feet comfortable and safe. Put on a pair of these Danner Men's 13860 EH Waterproof Composite Toe Vicious Brown Slip-Resistant Boots and stay safe, dry, and comfortable, regardless of what your day, or Mother Nature throws at you! Order your pair online from the Working Person's Store today. I would recommend these boots for wet conditions or dry, I will be buying a second pair. I've paid almost as much for boots that didn't work. Danner Vicious boots work; they are reasonably warm, the double EE is wide enough and the composite toe is light enough. I'm in and out of power line right of ways. I've been in water, snow, and mud. No wet feet yet! Not insulated so they're not to hot in the truck or at my desk. They fit the bill. This is the 2nd pair of A Viscous boots I have purchased. Great boot. Comfortable and protects my feet during 12 hour work days in all weather as a LTL freight driver. Pushing/pulling freight with a pallet jack all day at all kinds of delivery locations. I have had these work boots for 6 months and they are absolutely the most comfortable and durable boots I have had in years. Winter and wet traction with the Vibram sole is the best I've had. Definitely will by again! Seldom have I bought a pair of work shoes or boots that feel good when you first put them on and still feel good at the end of the day. Skeptical of the fact that this Danner model isn't USA made, I gave them a try. Wore them 10 hours per day for 4 days straight and my feet love them. In the past I have had to alternate pairs of boots to prevent sore spots but not these. Danner did well. Thank you so much for your customer service. I ordered a pair of boots for my son and of course, ordered the wrong size. The boots got here in time for Christmas, WOW to that, it was awesome. I returned the boots the week after Christmas and received the correct size three days ago. WOW again! Fanatical customer service is right. I truly appreciate all you did to help me with my problem. You have a customer for life and I will be passing your name onto others. Thanks again! Danner Boots: Men's 13860 EH Brown Waterproof Composite Toe Vicious Work Boots is being added to your cart.